Ah, Scotland. The land of haggis, Nessie, William Wallace, and questionable deep fried food. I’ve never been, but the image of lush green hills populated by docile sheep and the occasional stone tavern is bucolic enough to pique my interest. More importantly, the Scottish know how to treat their poets – and throw a good party. I had never heard of Robert Burns Day until last January when Ian mentioned he’d be attending a Burns party. “What do you do there?” I’d asked him during a morning run. I mulled this over with mingled fascination and bewilderment. A day set aside to celebrate a poet? Men abandoning their bar stools to gather around a guitarist, singing Scottish tunes? It seemed too good to be true. Granted, Robert Burns was a fantastic poet. He’s often credited as having started the Romantic Movement and his literary influence stretches far beyond the rolling hills of Scotland. Two classic works of American literature, Of Mice and Men and The Catcher in the Rye, feature themes grounded in ideas from his poetry. We sing “Auld Lang Syne” to ring in the New Year. But Robert Frost or Walt Whitman could arguably be as influential and we don’t have parties celebrating them. This year, not only was I fortunate enough to get invited to one of these marvelous events, I was also asked to make one of the traditional speeches. Loraine, my lovely Scottish friend, had never thrown a Robbie Burns party before, but she was excited to impart her cultural traditions this year. When in Egypt, right? I treated my responsibility with incomparable deference; I approached the challenge with the seriousness of one tasked to make a commencement speech at Harvard or Yale. That is to say, while I pondered what I might write, I didn’t actually sit down to write until four hours before the dinner was to begin. My research revealed that, traditionally, there are three speeches given through the course of the dinner. 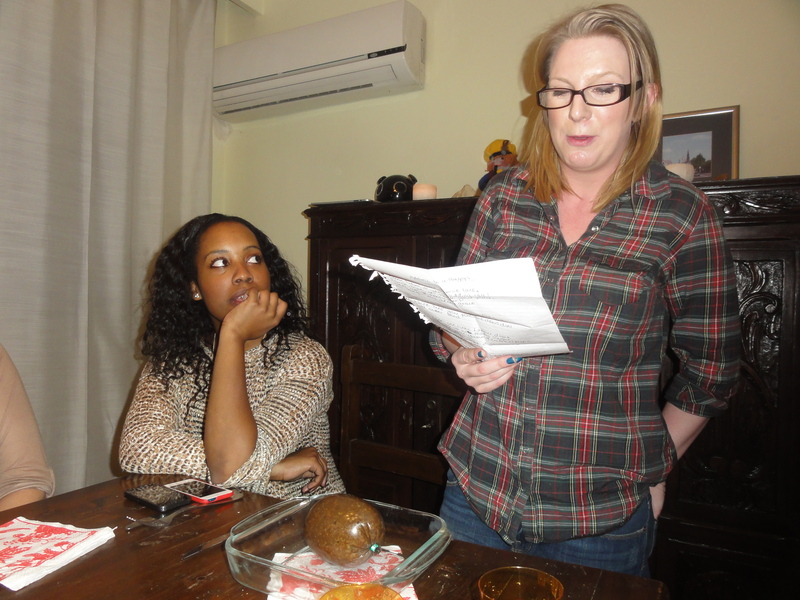 The first, a reading of Burns’ “Address to a Haggis,” is made by the host at the beginning of the evening before she cuts the haggis. The “Toast to the Lassies,” the second speech, comes after dinner and is delivered by a male guest. Its aim is to comment on women in general before addressing each woman individually. After the man finishes his speech, a female guest makes a speech in response; the “Lassies’ Response,” more commonly known as the “Toast to the Laddies,” speaks to the general nature of men before addressing each of the men in turn. The evening concludes with all of the guests singing “Auld Lang Syne” together, a fitting end to an event that is supposed to begin, obviously, with the burning of a British flag. Fortunately for me, only five male guests were scheduled to attend and I knew four of them. The fifth was an older gentleman about whom I knew very little, save for the fact that he had a good sense of humor. With this, I sat down and fervently penned my speech. It was a feat I treated with the same obsessive, probably unnecessary dedication as I had my meerkat eBay auction. I skimmed Robert Burns poems and dredged up a few quotes from Braveheart. I researched Robert Burns society webpages and tirelessly perused their archives, scrutinizing speeches written by what I can only assume were pleasant, gentile older women. One speech, authored by a woman named Pete, showered the male guests with unrivaled praise, commending them for their abilities to properly push a stroller and install computer anti-virus software. Nowhere could I find the quippy, convivial pieces that roasted the male guests with tongue-in-cheek, Billy Crystal-level wit. For fear of being crass – or falling flat with ill-constructed sarcastic humor – , I abandoned the idea of roasting anyone and instead focused on formatting my poem to fit the exact rhyme scheme and rhythm as Burns’ “To a Mouse,” which is a difficult thing to do. But three hours later, it was done – Braveheart and Burns quotes included. Nothing stated that one must wear plaid to a Burns party, but most of us did (and looked more suited for a hoedown than a sit-down dinner). Loraine, the paragon of a hostess, set the table while we watched “Tattoo,” a massive celebration that takes place every evening in the summer at a castle in Edinburgh. The chieftain did not disappoint. 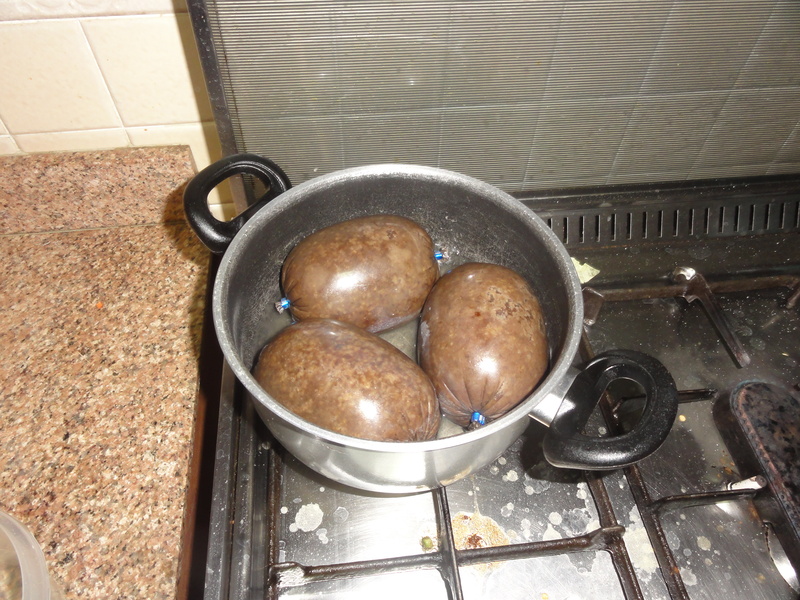 I have only tried haggis once and can’t say that I was moved, but this haggis was quite tasty. 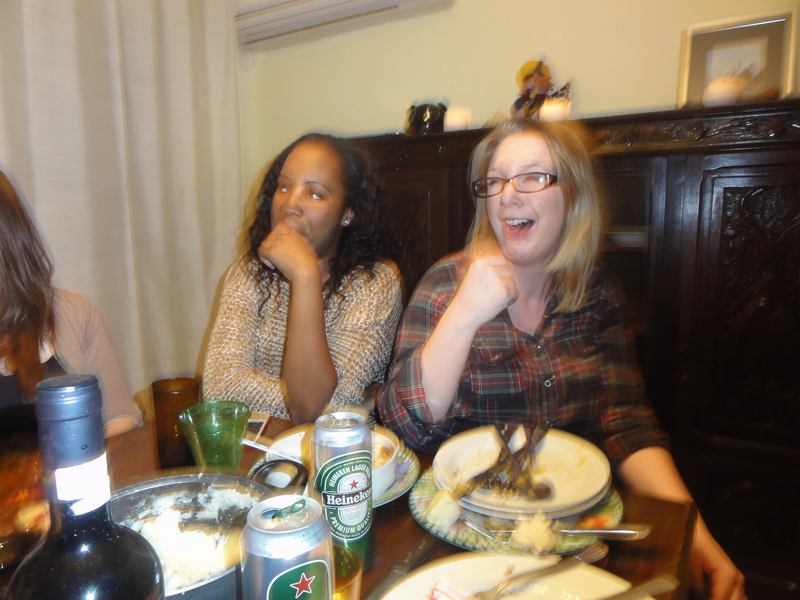 Everyone seemed happy with the dinner, none more so than Keyon, who gleefully ate the remaining haggis off of the other guests’ plates. 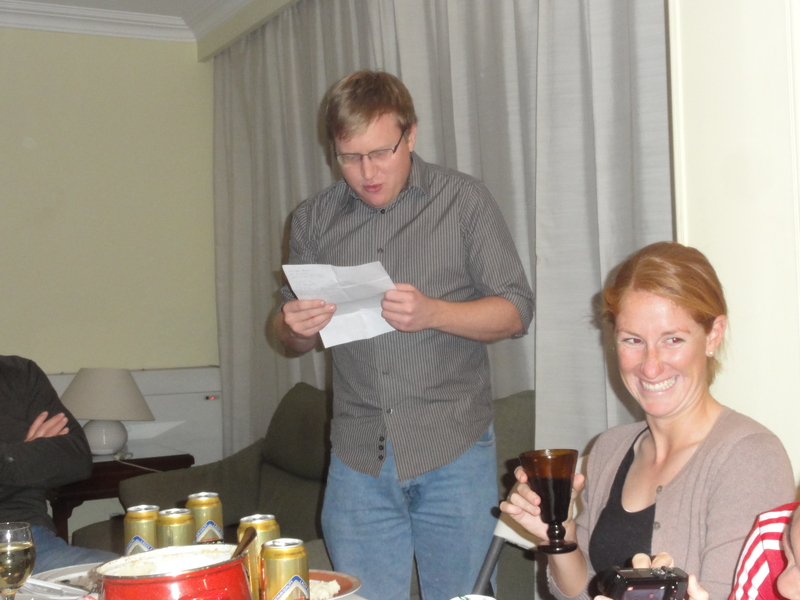 The “Toast to the Lassies,” delivered by Jesse, left everyone in stitches. Here was the raw and raunchy address I’d been anticipating, and he nailed it. As for me, I was quite pleased with my speech and the laughs that it garnered.